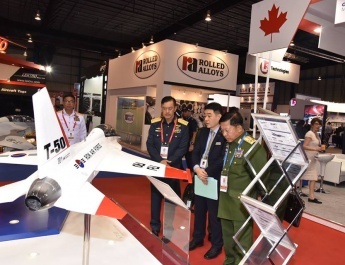 Commander-in-Chief of Defence Services Senior General Min Aung Hlaing, currently in Guangzhou, the People’s Republic of China, on a goodwill visit, accompanied by senior military offi cers of the Office of the Commander-in-Chief, Myanmar Ambassador to China U Thit Linn Ohn and Myanmar Military Attaché (Army, Navy and Air) Brig-Gen Tint Hsan visited the Military Special Operations Academy this morning. 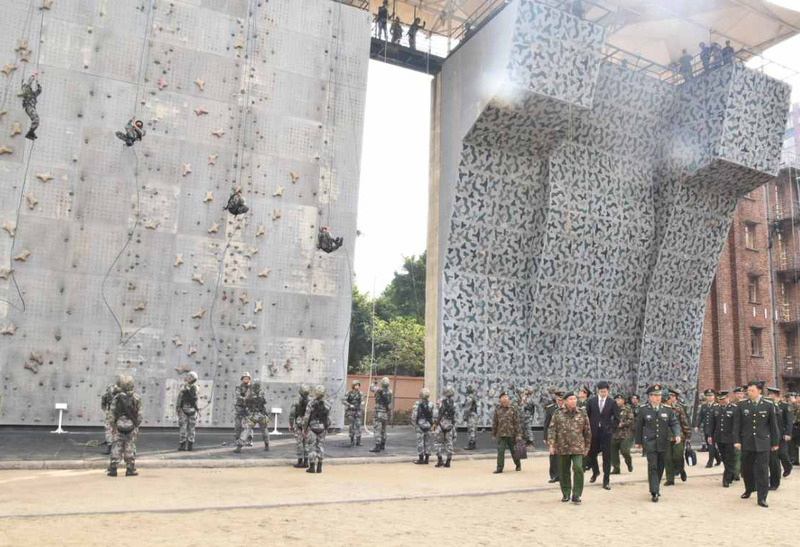 They were welcomed there by Commandant of the training school Brig. Gen Xiao Qin Liang and offi cials. 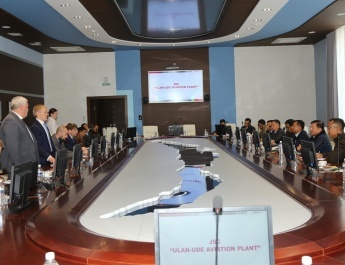 The Senior General and party were briefed on the training of the international trainees including those from Myanmar and lecture giving with the use of PowerPoint presentation. The Senior General next asked what he wanted to know. 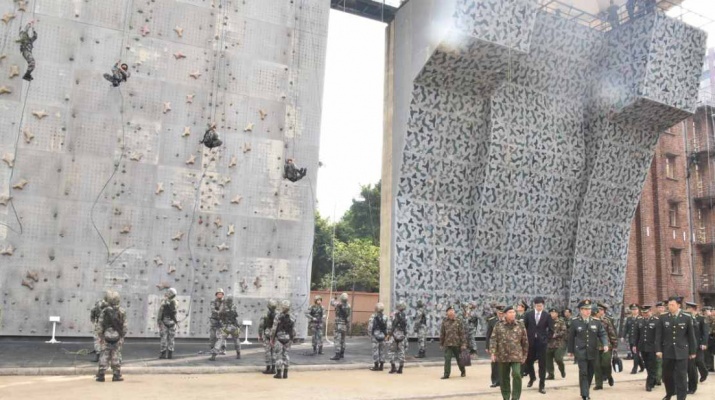 Then, the Senior General and party, the commandant of the training school and senior officers of the People’s Liberation Army of China took a documentary photo together in the front of the school building. The Senior General and party viewed the training of trainees by instructors, running of a remote controlled mine-clearing vehicle, hostels and dining hall of the trainees. They were conducted round there by the commandant. 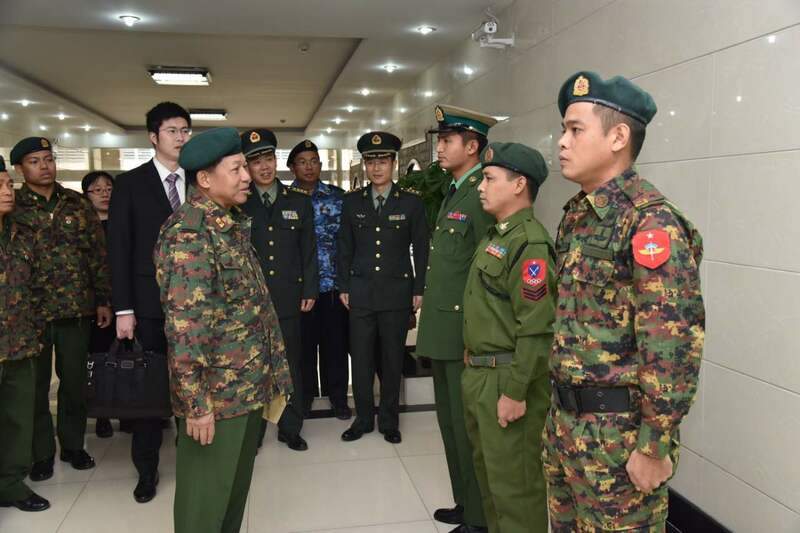 The Senior General cordially met and greeted the Myanmar trainee officers and other ranks and presented cash awards to them. 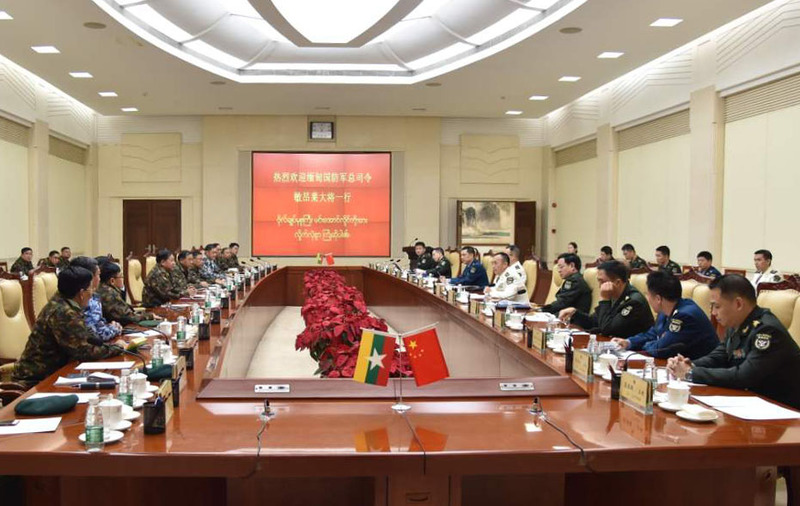 Then, the Senior General and party went to the headquarters of Southern Theater Command and they were welcomed there by Commander Vice Admiral Yuan Yubai and senior military offi cers. They then posed for a documentary photo. Afterwards, Sr. Col. Lei Neng from the Southern Theater Command explained the facts about the relations with neighbouring countries bordering the Southern Theater Command, duties and deployment of the Southern Theater Command and the formation of people’s militia, to the Senior General and party, using PowerPoint presentation. 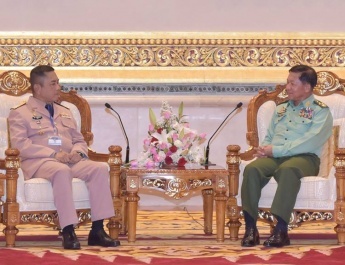 After that, the Senior General and the Commander of the Southern Theater Command had a cordial discussion on the talks between armed forces of the two countries for peace and stability in the border region, promoting cooperation, border region development and cooperation in border affairs, further promoting relations betweenarmed forces of the two countries and the exchanges of visits between sports teams. The Commander of the Southern Theater Command hosted a luncheon to the Senior General and party. 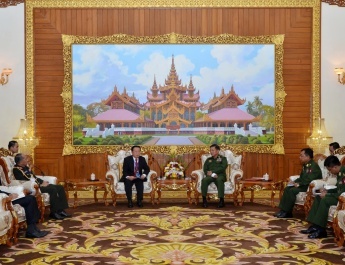 After the lunch, the Senior General and the Commander of the Southern Theater Command exchanged gifts.